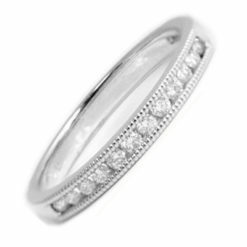 Featuring half a carat diamond weight, it is hard to beat the sophistication of this elegant princess cut half eternity. 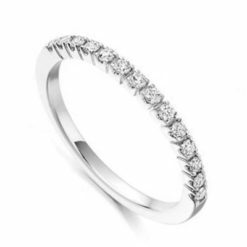 12 princess-cut diamonds are presented in a precise channel setting giving an elegant sophisticated sparkle. 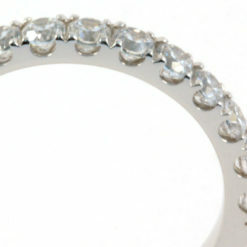 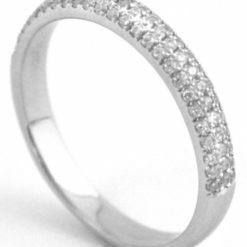 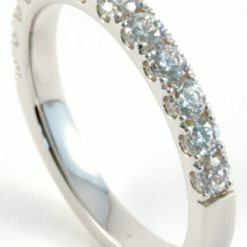 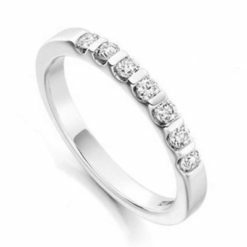 The total carat weight of the H/Si quality diamonds is 0.50 and the width of the band is approximately 3mm. 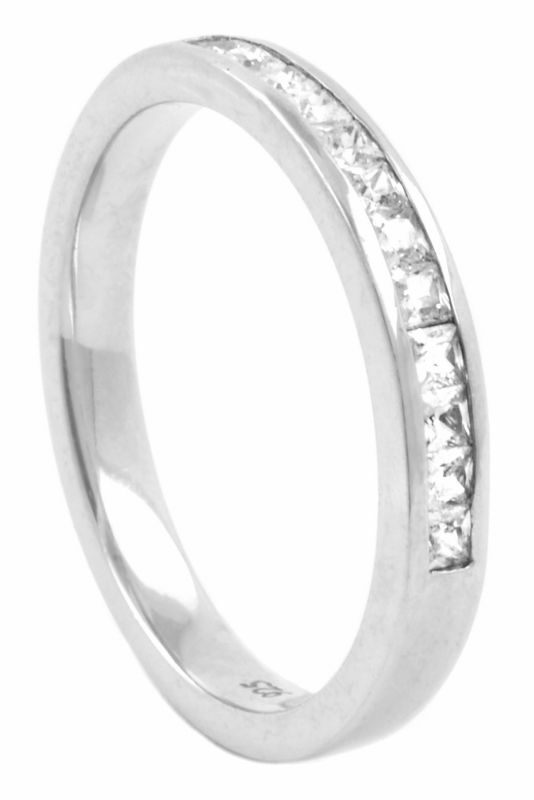 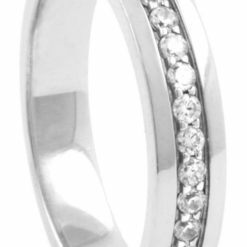 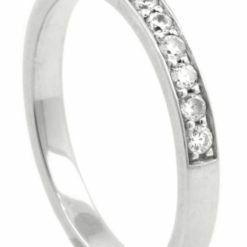 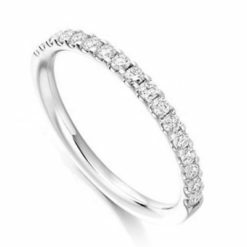 Available in white or yellow gold, platinum and palladium, exclusively at Valentina Fine Diamonds.